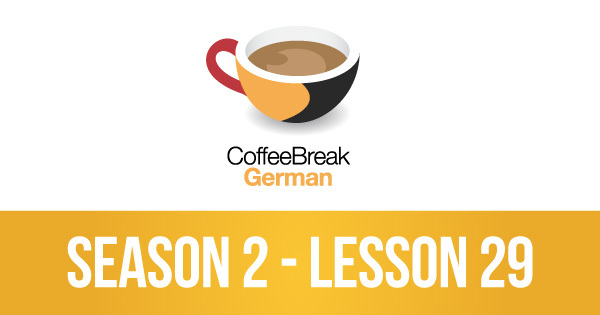 Coffee Break German Season 2 is all about helping you “tighten up” your German, and this episode addresses one of the trickiest aspects of German for learners. You’re already familiar with prepositions, and you’re already familiar with the accusative and dative case, but did you know that there is a group of prepositions which can take the accusative OR the dative, depending on the situation? By the end of this lesson all will become clear and you’ll be able to make the correct decision every time with the help of Andrea and Mark.